New student Orientation lasts approximately 3.5 hours from start to finish. It is broken into two parts. In part 1, you will get an overview of the policies and procedures of the college, important concepts, a Financial Aid representative will give an overview, and we will make sure your GOCC log-in information works. In part 2, you will meet with an adviser, financial aid, and if everything is in order, you will get registered for classes. April 11th 8:30 a.m. – 12:00 p.m.
April 18th 8:30 a.m. – 12:00 p.m.
April 23rd 8:30 a.m. – 12:00 p.m.
May 1st 8:30 a.m. – 12:00 p.m.
May 7th 5:00 p.m. – 8:30 p.m.
May 23rd 12:00 p.m. – 3:30 p.m.
June 4th 8:30 a.m. – 12:00 p.m.
June 12th (Athlete) 1:00 p.m. – 4:30 p.m.
June 20th 12:00 p.m. – 3:30 p.m.
June 25th 8:30 a.m. – 12:00 p.m.
July 11th 12:00 p.m. – 3:30 p.m.
July 17th (Athlete) 1:00 p.m. – 4:30 p.m.
July 22nd 12:00 p.m. – 3:30 p.m.
July 25th 8:30 a.m. – 12:00 p.m.
July 30th 5:00 p.m. – 8:30 p.m.
August 1st 8:30 a.m. – 12:00 p.m. August 16th 8:30 a.m. – 12:00 p.m.
August 12th 12:00 p.m. – 3:30 p.m. August 19th 12:00 p.m. – 3:30 p.m.
August 14th 5:00 p.m. – 8:30 p.m. August 20th 12:00 p.m. – 3:30 p.m. Yes. All new students to Glen Oaks are required to attend a New Student Orientation. There are exceptions (guest students from another college, personal interest students), though we advise all students to expect to attend a New Student Orientation. If you would like to know if you are required to attend, you can contact the Admissions office and they will be able to provide you with an answer. What if I’ve been to college before, or I’m returning to Glen Oaks? Students who have attended another college and are transferring to Glen Oaks are required to attend a New Student Orientation. Alternative Orientations may be made available for students who have graduated from a 2 or 4 year institution, but students should call to ask if they qualify for this accommodation. If a student is returning to Glen Oaks after a time period of 3 years or more from when the last course was completed, then they will be required to attend a New Student Orientation. Students returning to Glen Oaks within 3 years of their last completed course do NOT need to attend a New Student Orientation. We can verify this information for you. I did Dual Enrollment or CTE while in high school. Do I need to attend New Student Orientation? Yes. New Student Orientation is required for any student attending after they have graduated high school. Students that Dual Enrolled or took CTE will also need to ensure they have an up to date application on file. 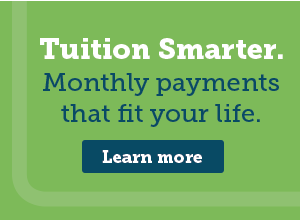 Should I complete the FAFSA before going to my New Student Orientation? Yes. The Free Application for Federal Student Aid, or FAFSA takes time to process (3-5 weeks), so we recommend completing the FAFSA as soon as you can. Having a processed FAFSA when you attend New Student Orientation will give you the best chance at being able to register for classes. When should I do my placement testing? retake of the Accuplacer is necessary, this would give you an opportunity to have this completed as well. Parents are welcomed to attend with their student. College Guests do not need to attend New Student Orientation. Please contact David Victor for further instruction if you are a College Guest.